Successful eCommerce online stores and shopping carts must be well designed, perform seamlessly through to the shop checkout, and have appeal in the customer experience. 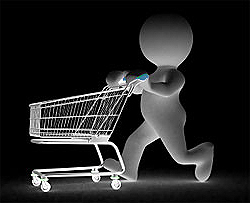 A shopping cart needs to be robust and simple to use for all your site’s visitors. Our eCommerce websites focus on providing the user with clear navigation, product messaging and shop checkout. We ensure that user interfaces are clearly displayed, page load times are fast, and very importantly checkout is safe and secure. We only work with the best online shopping cart software, and recommend WooCommerce as the base platform for our eCommerce websites providing excellent security and editing capabilities. We also work with other shopping cart software including Ozcart, Magento and Shopify. Please contact us to discuss your project further.